Government will decide this week whether to partly privatise South Africa’s second largest fixed-line operator, Broadband Infraco, as the company runs short of cash, according to two people familiar with the matter. A sale process would interest Vodacom, South Africa’s largest mobile operator by customer numbers, spokesman Byron Kennedy said in e-mailed comments on Tuesday, without saying whether he was aware of government plans. Dark Fibre Africa, South Africa’s largest fibre company by network size, would also consider bidding for a stake, according to a person familiar with the matter, who asked not to be identified as the closely held company’s plans are private. Telkom, the country’s former landline monopoly 40% owned by the government, held talks with Infraco but couldn’t reach agreement, said spokeswoman Jacqui O’Sullivan, without giving further detail. Broadband Infraco hasn’t made a profit since it was established in 2010 to deliver cheaper broadband to South African citizens, particularly in rural areas. The company has approached two state-owned development institutions, the Development Bank of Southern Africa and the Industrial Development Corp, for additional funding, documents seen by Bloomberg show. 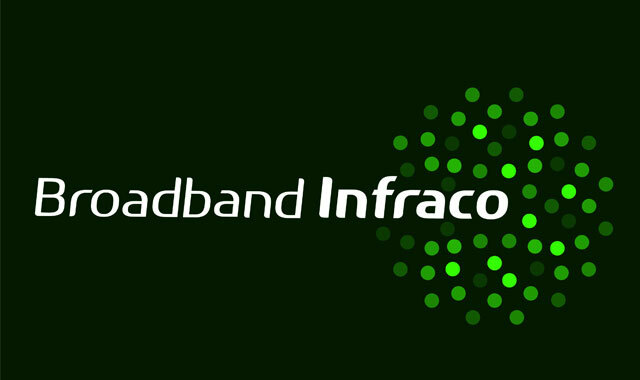 Broadband Infraco made a loss of R91m in the year through March, and its cash pile fell to R81,7m by 30 June from R267m 12 months previously, the documents showed. The potential sale of a stake in of Broadband Infraco to a private company would follow a report commissioned by President Jacob Zuma that found that South Africa should consider selling stakes in state-owned companies to private entities to improve their finances and tackle operational failures. The government is considering merging two state-owned airlines and selling off a stake in the enlarged carrier to private investors, finance minister Pravin Gordhan said in his budget speech in February. South Africa’s telecommunications industry regulator announced the auction of new broadband spectrum last month to address a shortage of high-speed Internet, although the move was later opposed by the telecoms ministry. The country is one of the global stragglers in terms of broadband provision, with 3,21 subscriptions per 100 people in 2014, compared with the global average of 10,56, data compiled by the World Bank shows. Wireless operators including Johannesburg-based Vodacom are seeking new spectrum to add more wireless customers in a market that’s struggling to grow. Sell Telkom, Broadband Infraco, SAA and the other state owned airlines completely. Divide Eskom in 3 or 4 power producers and a company that runs the grid and privatise them all. Most of the SOEs should be sold. The funds should be used to settle a large part of SA’s massive state debt, not for more luxury for senior politicians or handouts to the poor. Wasn’t this thing an utter and complete failure?